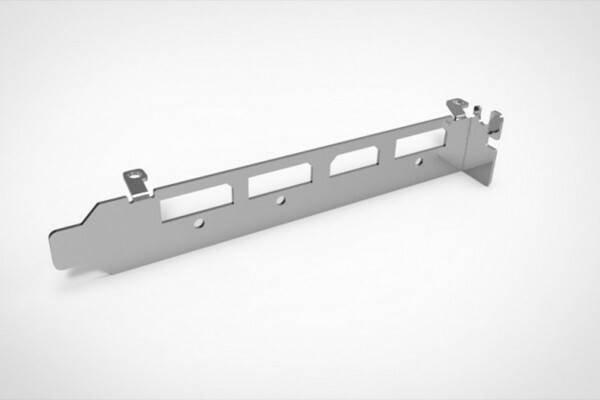 Replacement slot bracket for NVIDIA GTX 1080 Ti-type graphics cards with a single width. This replacement bracket can be mounted onto the card in place of the original bracket. If you use a kryographics PASCAL TITAN X / 1080 Ti water block, the slot directly next to the graphics card, which is normally obstructed by the air cooler, can be used for very short plug-in cards. However, the entire length is not accessible! This replacement bracket can be mounted onto the card in place of the original bracket. Graphics card and water block sold separately!